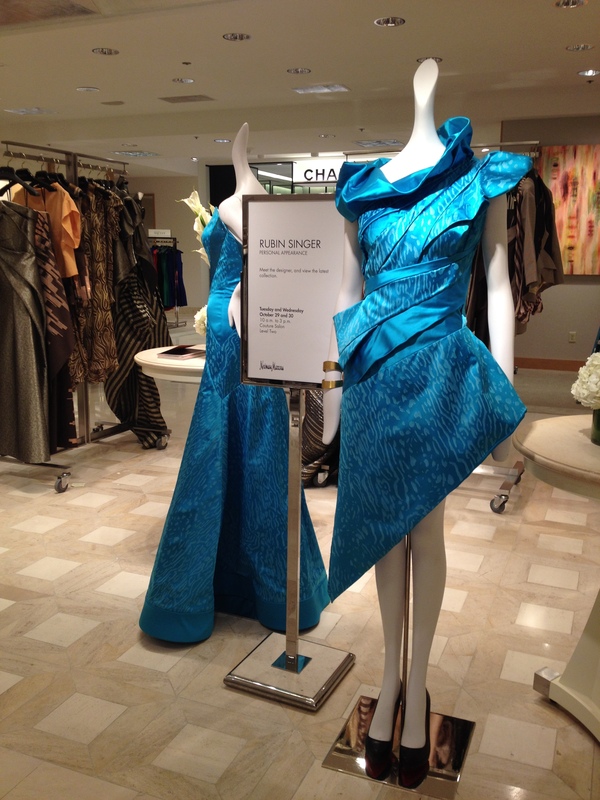 When I stepped off the escalator at Neiman Marcus Scottsdale to see Rubin Singer’s Spring 2014 line, I was instantly taken aback. His work was breath-taking at first glance and even more mesmerizing as I got closer. Each one of his pieces balances feminine detail with strong silhouettes and shaping. It’s no surprise that he has dressed some of the most powerful women in Hollywood, such as Heidi Klum, Alicia Keys, Beyoncé, Lea Michele and countless others. I sat down with Singer to get acquainted with his beliefs as a designer and discover the story behind the line. Q: What was the main aesthetic for your spring line? Q: You have become such a successful designer at such a young age. Is there any advice you have to give our young collegiate readers that may be hoping to have the same level of success? Q: What was it like designing for some of the biggest names in Hollywood? Q: I’ve heard that you make your own fabrics. Is this something you find important to your line? Q: Are there any upcoming trends for spring that you did incorporate into your line?